Drunk Driving Accidents Are a Continual Concern Across the U.S. Early this June, a Chicago area rideshare passenger was fatally injured when the vehicle he was traveling in was struck by a drunk driver. The crash was caused when the impaired driver drifted into the other lane and collided head-on with the rideshare vehicle. In all, three victims suffered severe injuries, and one victim ultimately did not survive. The accident is yet another reminder of the on-going dangers of drunk driving. Throughout the United States, roughly 29 people die in motor vehicle collisions involving alcohol impairment every single day. 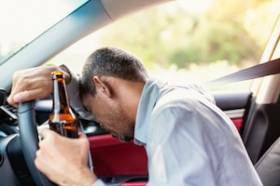 According to the Centers for Disease Control and Prevention (CDC), 10,497 Americans died in alcohol related motor vehicle collisions in 2016 alone. If you or a member of your family is injured by a drunk driver in a motor vehicle collision, you should be sure to understand your options for recovering compensation from the person who caused your injuries.